Plumbing emergencies can occur without warning. If the situation is truly not an emergency, it would be better for you to schedule a plumbing service call during regular calling hours as emergency rates are usually priced higher than normal plumbing maintenance rates. A word of caution: If you have natural gas or propane and you smell gas in the house, shut off the main valve (where the gas comes into the house) and call for service immediately! These are the five major causes of a plumbing emergency. Here are some helpful troubleshooting tips you can try before calling for service after hours. 1.) Check the thermostat. Is it off or turned down? 2.) Check the burner switch. Usually located near your furnace, it looks like a light switch with a red switch plate. Sometimes this gets turned off by mistake. 3.) Check your oil tank. Are you out of oil? 4.) Check the burner reset button. Oil furnaces have a red colored reset button on the burner itself. Push to reset. If it trips again, call for service. 5.) Check the circuit breaker panel. Reset tripped breaker only once. If it trips again, call for service. 1.) Check the pump circuit breaker in house panel. Reset once. If it trips again, you can typically wait until morning to schedule a service call. 2.) Check the pressure tank gauge. 3.) Check your checkbook! Did you pay your water bill? 1.) Check all hot water fixtures in the house. 2.) Check the circuit breaker in house panel. If you have an electric hot water tank, reset breaker. If it trips again, do not reset. Call for service. If you have a tankless coil water heater, and you heat with oil, follow steps for “no heat.” If you have a gas hot water tank, do not reset breaker or re-light pilot. Shut off gas valve and call for service immediately. 1.) Shut off main water valve, or gate valve to that broken pipe. 2.) Call for plumbing repair. Note: A broken pipe does not necessarily require 24-hour emergency service. However, once an area becomes saturated behind sheet rock or carpeting gets soaked, mold can set in within 36 hours. 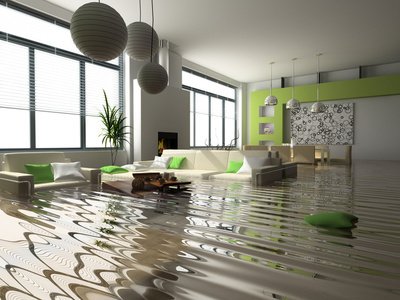 Some plumbers provide emergency water extraction services, as well as mold remediation and restoration. Do not ignore a leaking pipe until you can get around to fixing it. It can create a much bigger problem the longer you wait! 1.) Identify the source of the clog. You can find the source by running water in other sinks in the house. If all drains back up, then the source of the clog is in the soil pipe itself. Call for service to root it out. If it’s the toilet, plunge it. If it’s only one sink drain, check underneath for a clean out trap. You can unscrew the plug at the bottom and pull out the clog. 2.) If all drains are clogged, or you are unable to unclog the trap yourself, call for plumbing service. Do not use liquid plumber or similar products.